Agribusiness comes with a lot of challenges, learning from other stakeholders mistakes and stories teach us and show us the right path! African Harvesters’ Agribusiness Conversations with Ndi Njei Elijah, CEO Green Gold Group; a Cameroon Agribusiness Startup that has consistently empowered farmers through training, youth engagement and adding value to plantain. 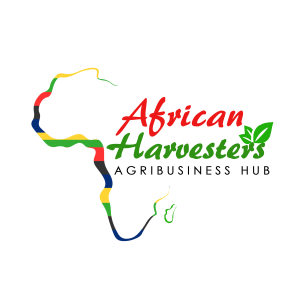 African Harvesters: Tell us about yourself and your Agribusiness- Green Gold Group? Ndi Njei Elijah: My name is Ndi Njei Elijah, born a Cameroonian and reside here in Douala, Cameroon. I am Married and we have a beautiful daughter. I hold a bachelor degree in law and political sciences and studied business administration at postgraduate level. An agribusiness practitioner and also a pastor in Christ Embassy. The GREEN GOLD GROUP is an agro investment hub we launched in 2017, it’s a platform which designs and manages different agricultural projects and sells to potential investors. Earlier in my career, I worked for a company merchandizing organic fertilizer, it was challenging to convince farmers to patronize our company because of their habitual use of chemical fertilizers, so I adopted the method of educating them and training them on how to preserve the soil and increase their productivity so as to introduce my product to them. In the course of this, I studied so much on agriculture discovered the treasure and opportunities of agriculture. This is GOLD you don’t need to dig to find, you can grow it on the surface of the ground. I saw agriculture as the cheapest way to gain financial freedom. With these mindsets, I started the GREEN GOLD GROUP in partnership with NOUMEN BLANCHARD, an agronomist with 20 years of experience who had the same vision. AH: How is your business participating in the development of Food Security in Cameroon (Africa)? NNE: The main reason people suffer is because of ignorance, if at all there is any food shortage in Cameroon and Africa, it is because the Africans have been distracted to focus on the gold under the ground, which they cannot see, while the ‘white man’ picks the Green Gold and exports. At the GREEN GOLD GROUP, we design lucrative agro projects and coach these youths into production and local transformation. These solve 2 problems, unemployment, and food insecurity. AH: How has the Agribusiness entrepreneurial journey been? NNE: Like every start-up, full of challenges but my strong passion gives me the strength to navigate through eminent challenges. Starting a business and growing it in this part of the world needs so much patience, persistence with a strong inner drive as there are very few structures with the aim to genuinely help young entrepreneurs. We started with Plantain, now we have 27 hectares on production and planting 30 more hectares this year. You plant and wait for 12 months before you start harvesting. 12 months of no income but you are spending. No salary at end of the month but you have expenses, so what do you do, sacrifice month-end salary for 12 months to get residual income after that. AH: What are some of the challenges you face in your Agribusiness and how do you overcome those challenges? NNE: As an African agribusiness entrepreneur, we face too many challenges, the first is FInance! Yes Finance, let’s be honest, the quality of harvest depends on the quality of input; So to guarantee a good harvest there is a need for money. …After designing my first project on plantain production and transformation, good margin, good market study. I presented to some contacts I knew asking for help to start, all they I got was were encouraging words and promises. I had to redesign my business plan, now this time not asking for help but proposing to help them make more profit for themselves, not selling an idea but a business that will guarantee them 70% profit on their initial invested capital per year for 4 years. After this money began to flow in, after we had enough to start, we stopped the offer, now we have a business which is able to repay our investors and sustain our team, I suggest people take a clue from my story! There are great gaps in getting the quality human resource for farming. we had to change our business model by hiring some skilled workers and make them the head of teams to monitor and supervise work done on ground. We offer them free training and increase their salary by 30% every year, this makes them dream to stay longer with us and focus on their job. The business environment is harsh so we had to create stiff measures such as running a cash and carry system, no credits. You don’t have money don’t show up. The crop demands different products at different stages. So you must have money to run the farm until harvest. As a startup, Banks don’t even look at you when you at the beginning. Government institutions who are set up to assist would employ bureaucracy and political measures! One challenge we face as a business is the ‘Middle Man Syndrome’, its a global phenomenon but at Green Gold Group we crafted a solution that has helped us reach consumers directly. Initially, we will sell to off-takers who retail to consumers. These people have no regard for the farmer all they want is to make more profit, and since they own the market, we are sometimes bound to dance to their tune. After 3 attempts, We designed a B2C system where we created retail outlets to deal directly with consumers, its true the system was more expensive in running but it employed more people and increased our profit margin. AH: Where do you see your Agribusiness in 5 years from now and what steps are you taking today to reach that objective? NNE: Green Gold Chips would change the narrative in the Food Processing Value Chain in Cameroon and across Africa. We would have a consistent model of increasing our production with innovative/competitive packaging, our brand would compete with imported plantain chips, potato chips, tomato paste, even fruits in pricing and quality. I see us inspiring many youths into production and transformation, I see local food brands popping up and filling the shelves of our supermarkets because of our influence. AH: What advice would you give to other entrepreneurs looking to start an Agribusiness or invest in Cameroon (Africa)? The first thing God did was to plant a garden in Eden. There are opportunities in Agriculture, we see the Chinese and Indians exploring these opportunities, they compete with us in our local retail market. So as a new entrant, you have to stand out to succeed- Innovation is the keyword. Agriculture is the most secure and lucrative venture, the future of Africa is agricultural production and transformation. The next generation of millionaires in dollars in Africa will be agro-entrepreneurs. This is the Future!